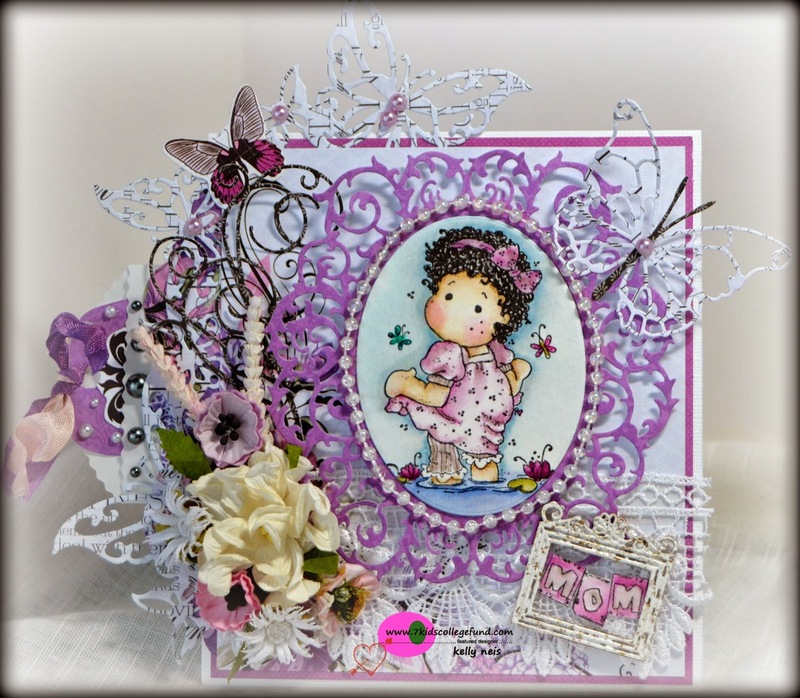 Here is a card I made for 7 Kids College Fund Store using Waterlily Tilda by Magnolia. She is colored in distressed Inks. I used a Joy die 6002/0304 to frame her and then added a string of pearls with Glossy Accents. My papers are from Kaisercraft "Violet Crush"
Here is a wooden frame from the Prima Optimist collection that I Frantaged with Shabby White embossing enamel. 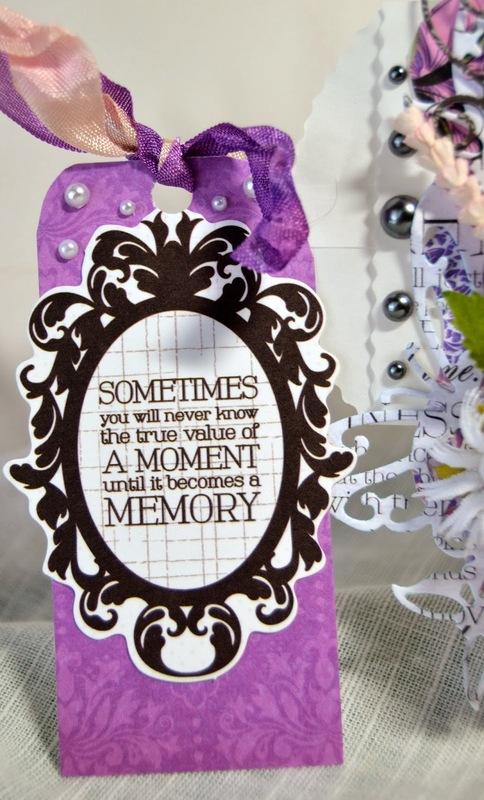 I used Little Darlings "use your words" letter stamps to spell out MOM and glued them onto the lace with Glossy Accents. I put in a pocket envelope on the side for a message and embellished it with Doodlebug pearls. 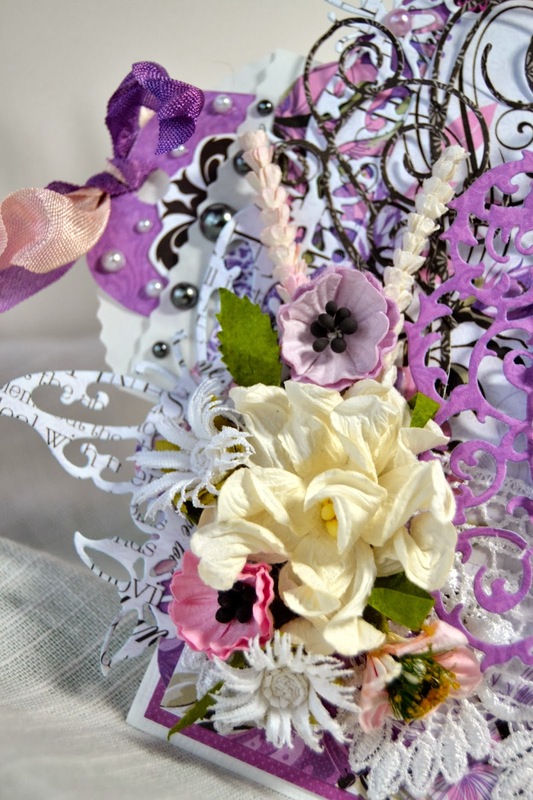 This side of the card is embellished with Memory box "Whimsical Flourish" and "Vivienne Butterflies" along with Joy "Butterfly Edge" die and a floral arrangement. Here is a close up of the Vivienne Butterfly die cut from Memory Box, I really love this one and I used the Kaisercraft papers for it. 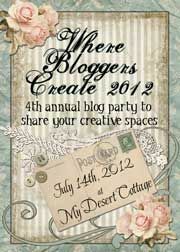 Here is the tag I made using a part of the paper pad from Kaisercraft. I embellished it with Doodlebug pearls and seam binding ribbon. The inside is all from the Kaisercraft paper pad and 2 butterflies from the Memory box die Vivienne Butterfly. Thank you for visiting with me today! 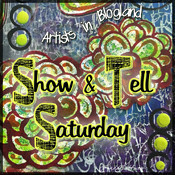 I am trying to make visits to your blogs also because I love your artwork! Very fun to share with you. 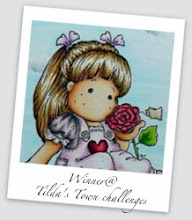 Currently at 7 Kids College Fund Challenge Blog we are having a ANYTHING GOES challenge and if you use products carried in the 7 Kids College Fund Store on your entries you would qualify to win the gift certificate to the 7 Kids College Fund Store. Extra spending money is awesome!! Oh wow this, is absolutely stunning and so perfect for a loving Mom. Love the all the beautiful little creative details and the pearl accents. Wishing you a wonderful and relaxed weekend. So pretty with all the die cuts and embellies. I love those curly haired Maggies and this one is especially sweet. Lovely Kelly! Love all the beautiful details. fabulous coloring of Tilda. have a lovely weekend. Hugs. So very very gorgeous Kelly!!! This is an amazing card, Kelly - the details are stunning. 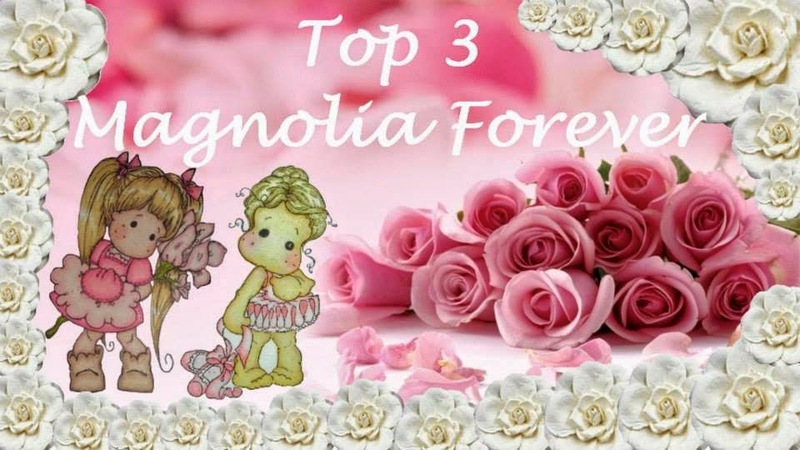 Your colouring of the image is wonderful, as always - and I so love that delicate butterfly with just a hint of text, and the adorable shabby chic frame. Hope you enjoy having some more crafting time when it finally arrives, to make more beauties like this!! Hey Kelly - I just got in from loving on the goats - and your gorgeous card was in my mail box. Love that purple and our coloring dear child is fantastic! I told you a long, long time ago that you have the touch kid! Beautifully created, Kelly. 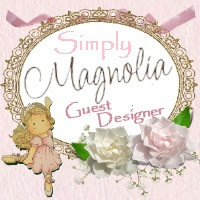 Love the dies, your pretty image and florals.....and those words on your tag are so true! Kelly! Stunning!!!! LOVE the colors! All the details are unbelievable!! WOW!!!!!!!!!!!!!!!!!!!!!!!!!! Kelly, this is a visual delight....love every detail on this work of art!!!! Outstanding work, my friend! You've created a phenomenal card with beautiful colors and details. Great combination of dies and love that frantage frame. Gorgeous inside and out. Makes me hunger for warmer weather with some butterflies!!! Great job Kelly. Awesome coloring especially with her hair! Love all of the lush and gorgeous embellies you've used to show her off. HOLY WOW, KELLY!!!! Stunning beyond stunning ~~ beyond stunning!! Sooooooooo gorgeous !! I can't stop staring, I mean really ! !